Firstly, sorry for the dearth of climbing updates. We’ve been in the Bay Area now for two weeks, and haven’t touched rock in that time. I’ve been focused on the newest video project, which will hopefully be completed in the next two weeks (I say that, but when has an estimate like that ever been accurate??). I’m also trying my hardest to get strong in the gym. Vikki is still nursing her poor finger, which as of now is still swollen. She hasn’t begun climbing again yet, but will be hopefully working her way back into it before the end of the month. Running a lap on Heavy Traffic, one of my alltime favorites. Briefly, I’d like to wrap up Santa Barbara, and mention that anyone in California looking for a climbing weekend could do a lot worse than heading to this sandstone paradise. When we were college students (I graduated in 2007), it was our beloved chosspile, and places like Bishop were meccas. 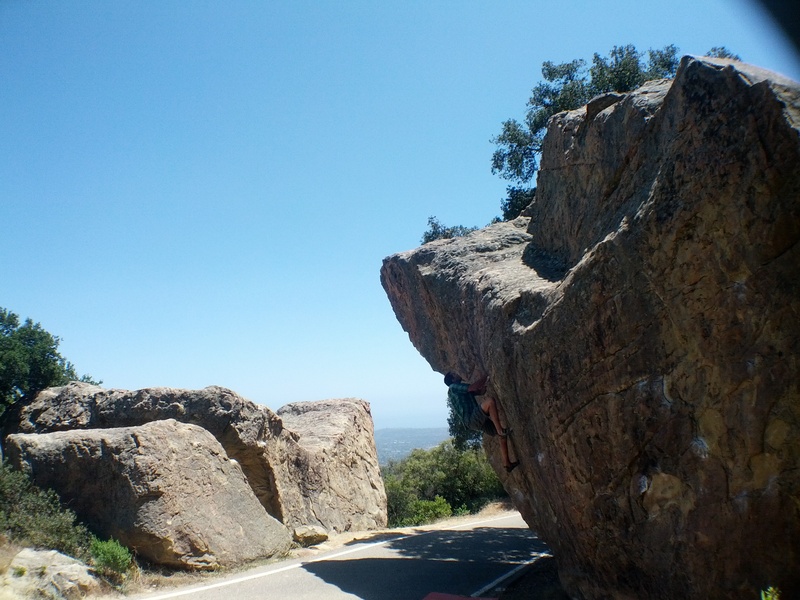 Now, I see Santa Barbara as my climbing “home,” where I first experienced “pump” and “flappers” and broken holds. I climbed my first V1-8 there. The place has changed, though, and I might argue for the better. The first and foremost change is the introduction of a real climbing gym, the Santa Barbara Rock Gym. It’s in the heart of SB, right on State Street, and it finally provides a community space for climbers. Before, we had some poor excuses for climbing walls: The UCSB rec center, Goleta Valley Athletic Club’s outdoor wall, and a smattering of exclusive woodies. The disparate climbing venues actually promoted the formation of insular cliques. Information was hard to come by. But we also didn’t really know any better. Now, it’s easy to rub shoulders with the guys who are going out and developing new areas. You can walk in to the SB Rock Gym and get the beta for any area, and any new climbs that haven’t even been added to Mountain Project yet. And there is still some fine rock to find! For example, Tyler took me out to Potter’s Point, where I had never been. There are some amazing lines there, both boulder and sport, on some of the better rock I’ve seen in the area. I apologize, but I have no photos. That said, the video below shows a handful of great SB climbs, and the first one, Debra, is found at Potter’s. I’m pretty psyched with how Santa Barbara’s climbing community is shaping up. Easy access, scenic vistas, good weather year-round, great Mexican food, and nearby surfing make SB a great place to visit, and a great place to live. Also, Ocean’s 11 is my favorite guidebook of all time. If you go, let me know and I can put you in touch with the proper folks. So Santa Barbara has changed in the last 6 years, and it always will. Wildfires are common; they reshape trails and the temporary barrenness allows for new discovery. Holds break and the climbs change. Areas get discovered and forgotten about. But the magic of an oceanside paradise remains. 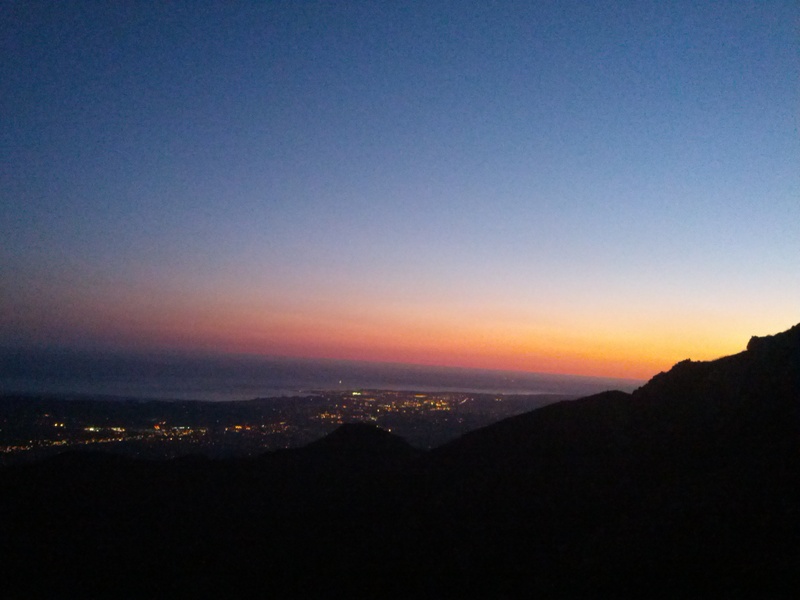 Santa Barbara is an amazing place, and one that I’ll always think of, in some small way, as home. Not the best photo, but you get the idea. Sunsets at the boulders are nearly always spectacular.